You can never be too sure when becoming a celebrity spokesperson. Your name is your reputation, and no group of people is more aware of that than movie and TV stars. The value of said name is the only reason we see people we know shilling for something they probably never use in real life. Does anyone really think the Kardashians need a pre-paid credit card?! 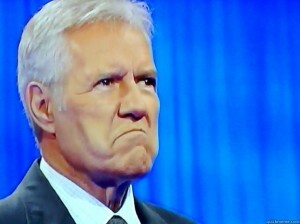 Such is life for the effusively smarmy Jeopardy host, Alex Trebek. The guy always knows the answer you missed and makes sure that you know he knows it, even though he may have the answers written on a card in his Canadian sweaty hands. And now that a product for which he shilled has been smacked down by the Federal Trade Commission, he is probably sweating a bit more. Is there a Doctor Oz in the house? The name of the product was WordSmart. What with Merriam and Webster (or even Strunk and White for you logophiles out there) being otherwise detained, we supposed it makes sense for Trebek to pluh this product. But this was no regular 60-second knowing nod: Trebek got paid to do a whopping 30-minute infomercial. He was behind this product. Now, however, he’s just behind: WordSmart reached a settlement with the Federal Trade Commission over charges of deceptive marketing and abuse of the national Do Not Call Registry. The settlement order prohibits WordSmart and David A. Kay from misrepresenting the benefits of educational goods or services, and from violating the agency’s Telemarketing Sales Rule (TSR). The FTC’s complaint alleges that the defendants targeted parents who wanted to improve their children’s performance in school or help them prepare for standardized tests, such as the SAT or ACT. They sold the programs via telemarketing and their website, charging between $15 and $300 for each program. 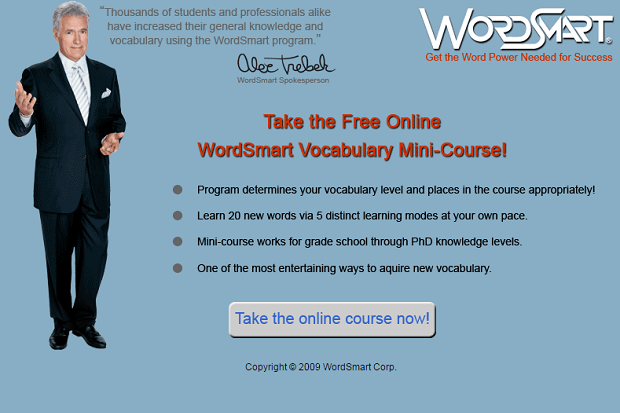 The defendants’ allegedly false and unsubstantiated claims included that, by using WordSmart for a total of 20 hours, students were guaranteed to improve letter grades by at least one GPA point, SAT scores by at least 200 points, ACT scores by at least four points, GRE and GMAT scores by at least 100 points, and IQ scores. They also falsely claimed they would provide a full refund within 30 days if the buyer was not satisfied. Sounds questionable but too terribly bad, right? Surely, Trebek’s thumbprint didn’t make this product that popular, did he? The stipulated final order prohibits the defendants from misrepresenting the benefits, performance, or efficacy of their educational goods or services, including claims that the products will help students learn faster, improve reading speed, or increase grades, IQ scores, or test scores. It also bars them from misrepresenting the terms of their refund policy and violating the TSR’s Do Not Call rules. The order imposes a $18.7 million judgment that will be suspended when the defendants have paid $147,400. The full judgment will become due immediately if they are found to have misrepresented their financial condition. Based on the release, we don’t have a clear answer regarding Trebek’s knowledge about this sham. That’s OK, though: we probably wouldn’t be able to put it in the form of a question anyway.